Compact, ergonomic design takes up less space. EverFlo Q is part of the Freedom Series of oxygen therapy products from Respironics designed to deliver clinically superior treatment and more freedom - freedom from worry, freedom from deliveries, and freedom from complicated maintenance. Most importantly, the Freedom Series frees patients of some of the more demanding aspects of oxygen therapy. Lightweight and easy to transport at 31 lbs. One of the quietest mainstream concentrators (40dbA). Uses less power than conventional oxygen concentrators. Recessed flow meter helps prevent accidental breakage. OPI (Oxygen Percentage Indicator) with low oxygen alarm. Three-year top-to-bottom manufacturer's warranty, with five-year extended manufacturer's warranty on compressor at no additional charge. * When using oxygen with CPAP/Bilevel therapy, the oxygen supply must be connected after starting the CPAP/Bilevel unit. The oxygen supply must then be removed before turning off the CPAP/Bilevel unit. Failure to do so could result in oxygen entering the CPAP/Bilevel unit and causing a fire hazard. ** Device operation above or outside of the specified voltage, LPM, temperature, humidity and/or altitude values may decrease oxygen concentration levels. Great quite machine have used for 14,000 and just now have a problem with blower motor. Lucky to have repair company close . Excellent. No problems and very quiet Just plug it in and adjust oxygen volume. Very satisfied. No one else came close to the price on this unit. The unit itself is very quiet. Extremely quiet, came very well equipped and has been very reliable. Hope all my purchases are this good. Have had no experience using an oxygen concentrator before this....it has been running as expected with no problems that I am aware of. Good price for the product. Am satisfied so far. I received the order very quickly and it is brand new as exactly described. Very happy with vendor communication, receiving product quickly and the product is excellent. Definitely an excellent vendor to do business with. Highly recommend it. I don't have much to say because you simply connect the oxygen hose, turn it on, and turn the nob for your oxygen setting. It is very quiet for this type of equipment and I easily forget that it is on. If you ever had a rental you will hug this machine. The people were very friendly and helpful and gave me the answer to all my questions without having to put me on hold to ask the boss. It shipped the same day I bought it and they coordinated with the doctor to get the RX.I paid 5.00 more than the lowest price but I got them to give me an extra filter. You don't need to look any further, this is the machine you want, at the price you want ( I am a retired purchasing manager) from the people that I trust. The Q series is even quieter than the original. I have used both over 6 years and am well satisfied with use at home and travelling . First of all I asked lots of questions and was actually surprised they even explained any negatives on ordering online. Second they shipped the product the same day I ordered it and was at my home in 3 days. They also included a humidifier bottle at no charge. There price was also the best and best of all the concentrator exceeded my expectations. I had a very noisy concentrator before and was promised this one would be extremely quiet. This is hardly even noticeable when running. Excellent home Oxygen Concentrator product! I was extremely pleased with the Respironics EverFlo Q Oxygen Concentrator, as it is much quieter than the Respironics EverFlo Oxygen Concentrator. The service I received from bestcpapprice.com was outstanding!! have used several other concentrators. the EverFlo is the quietest and most reliable one so far. i have over 20,000 hours on this machine. its almost never off. it seems to last forever. i wish everything was this reliable. i can recommend the Respironics EverFlo as a well designed, trouble-free product. In the short time we have been using the machine, we have been impressed with it. It works at a constant and smooth pace and is quiet. We are glad we found this unit and plan on using it every day. This EverFlo Q Oxygen Concentrator with OPI is everything that they say it is. It is super quiet. It works as well as the one rented. 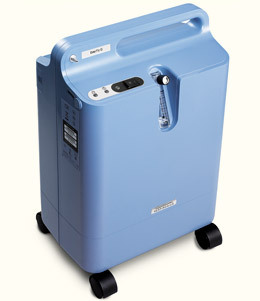 We purchased this oxygen concentrator for my wife to replace a rental machine which she used at night. The Respironics is much lighter, more compact, and substantially quieter than the unit which it replaced, and we can completely pay for it in about 18 months of insurance co-pays. FInally, we are now free from the hassles of dealing with the oxygen "service" company. Great Services and shipping! We always get our products on time! The EverFlo Concentrator has been used for just 2 days. It appears to be a very high quality unit and works to my expectations. The noise level is very quite and exceeds my expectations. At this point, I would certainly recommend it to all. I have been renting one of these machines for about a year. I decided to buy. This is the best price I could find and this company is great .I recived my new machine in perfict condition, fast delivery and "Best CPAP Price" was everything they said they would be. Thank you. I would recommend this company to anyone in need of this type of equipment. The Respironics’ EverFlo Q Oxygen Concentrator is everything they said it was. Quite, dependable, and the service and delivery was top shelf. I ordered on a Monday with standard shipping and it shipped that day and was delivered the next day, and was ready to go. I’m very pleased with everything about it. The price was exceptional.